What causes anger in a relationship? When you were in the initial stages of your relationship, everything seemed to be great and perfect. However, once the lovey-dovey period is over, both he and she begin to see the minus and negative points of each other. In this modern world, both men and women have high ambitions and want to live the most comfortable and successful life possible. Eventually they live with a lot of stress both at workplace and at home. This causes anger in both men and women. Anger may cause misunderstanding on couples and eventually lead to separation. Bad habits such as excessive drinking, smoking etc., can also make him/her angry in a relationship. Financial issues, infidelity, trying to control the other, biological causes, issues in sexual performances, the way he/she was raised, communication issues etc., also can make him/her angry. How to control your anger and aggressive behavior: Your partner, by nature may be short-tempered. Or he/she may his/her own reasons for getting angry with you. It's very important that you should try your best to calm him/her down. It's not wise to retaliate when he/she is angry. Let not your ego aggravate the fight. An eye for an eye attitude will worsen the situation. Avoid pointing fingers or yelling and shouting at him/her. When your partner comes back to normal mood, you can tell them how much his/her anger had hurt you. Most importantly, you must have the strong desire to save the relationship. Regular yoga and meditation can also help to control your anger greatly. Summary: Life will be a bliss if your relationship is healthy. Uncontrolled anger can ruin a relationship. Learn to control your anger and live a happy and successful life. Thanks for reading. How Does Venus Influence Your Love Life? I make money on Experts Column. If you want to write and earn, join Experts Column HERE. It’s free. Several days ago, I happened to read 2 meaninful blogs titled "Karl Marx and Failure of Communism" and " Is China Following Karl Marx ? " I was really rather interested in them, especially the author said such classical sentences---- The 21st century is on us and there is very little talked about Karl Marx and his concept of Socialism. However in the 19th century Karl Marx with his thesis 'Das Kapital' had struck a chord in the heart of the liberals and the revolutionaries. and the only professed communist states now are China and Korea. It's SO funny that I'm just a Chinese with the education background of communism. I think that i should be qualified to be an "expert" about the history of communism. just a kidding! However, just as the author saying in the blog" Is China Following Karl Marx ? ", now China is not a state that follows the priciples of Karl Marx, The dream of a workers paradise and dictatorship of the proletariat is far away. In contrast the worker is bound by dogma of a one party rule and dictatorship with no rights. So being a common and poor chinese from the lower parts of society such as me, it's absolutely impossible to have the chance to go abroad, seeing the outside China. and in Malaysia, I heard some stories and political system and history about Malaysian state from our guide--a Malaysian Chinese, which made me feel rather fresh and excited?even shocked. Because in china, I can't learn them from any books or media such as newspaper and TV,etc. It's the first time that I knew there's had the communist party in Malaysian history. Pitifully, the fate of Malaysian communist party was completely opposite to the Chinese communist party, the Malaysian communist party was defeated at last, and as a result, Malaysia became a member of the "the British Commonwealth". I can't help sighing with great emotions! Given the same communist party and communism theory, why the final results and fates in different countries are totally different? which made me associate it with MLM. I feel MLM's culture is just similar to the once communism which was international, being existed in the countries from all over the world in some way. In fact, It's just due to following a Chinese MLM team that I got the precious opportunity to go abroad. and this MLM company is named ecosway originated from Malaysia, whose headquater is just in kuala lumpur. you can say if without MLM, I'm afraid that i can't realize my dream of going abroad forever. It's said that Bill Gates has ever said such a sentence: if I don't engaged in the IT/internet all my life, I will select to be involved in MLM. (Of course, I don't assure if he really said so. At least, those Chinese in MLM circle all believe in it.) and a Singapore Chinese --the founder of SMI also acclaimed that MLM was just a wonderful invention in our modern world! But I have unexpectedly never known the existence of MLM in the world until 2006. It's such a fresh topic for me! 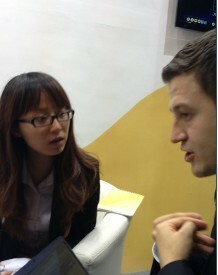 at that time, I ran across a strange young chinese couple who invited me to attend an evening meeting warmly! too surprisedly, I found I entered a brand-new world different from the traditional chinese society ---god knows how sealed and enclosed it is--a dictatorship and one party-ruled government that tolerates no dissent. immediately, I got to know it's a classroom of Amway---a celebrated MLM company from USA. From the beginning, I have sensitively realized that MLM is just same as the so-called "communism" and the so-called "utopian socialism“ which sounds too good to be true. and It also reminds me of the famous sentence from Karl marx: working class from all over the world, Unite! Unite! Unite! It seems that MLM is breaking the boundary line of each country, allowing the people from all over the world to be bonded in a team?and MLM also proudly alleges that it can help people obtain the faniancial freedom, space freedom, spirit freedom, time freedom. oh, it sounds really so equal to the once- "utopian socialism"! At the same time, I find that there're a lot of people who hate MLM very much. once a time, MLM was even regarded as illegal and evil by the Chinese authority! 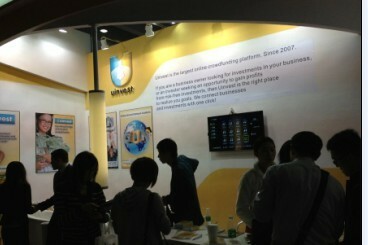 of course, I also find that even if people in USA---the origion country of MLM are also very ignorant about MLM. Oh, it's really too interesting and strange. MLM is really too similar to the past communism. Some people are crazy about it, some people fight against it very much? other people just laugh at it, regarding it as no more than a joke, very ridiculous! Of course, there're still a lot of people in the world who have even never heard of MLM till now, no mention to keep in close touch with it. So i can't help thinking of such a question. What's the future of MLM in all over the world? Who wins, who fails? maybe only god knows! Now please allow me to end my blog using a famous poem named "plum blossom" written by the once chinese commnist party's leader Mao Zedong. The flying snow is singing a tune of welcome to spring. There're still some branches with the beautiful red plum blossoms thriving. They don't fight for the supremacy in the spring. They will smile mingling in their midst when the mountain flowers are in full bloom in spring. Especially, just now I got a truth that I was unexpectedly cheated and charged extra rents by that hateful and greedy landlord all these years by chance, and there're also a few other single apartments to be let. I felt angry to death and even heart-broken. But I still have no other choice now. I have no ability to afford to buy the big house, What's more, I have not husband and children, no need to live in such a big house. at the same time in my living town, there's not any other single apartment to be sold or let, although there're a few new single houses on construction now, no way to live,yet. You must realize the special Chinese house policy where there's no room for single people to exist! As a result, my poor health finally broke out. In fact, I have been dizzy, weak and languid for the last 3 months. Yesterday I went to see the doctor, the doctor told me that my liver and spleen even kidney were all not in good state, and my blood lacking of nutriation seriously. I must be away from 甲醛methanal. I'm only afraid that you can't like me in reality. And I dreamed a bad dream. In dream,I met you in reality, and I even talked with you in my poor oral English very slowly but very clearly. Pitifully, it seems that you couldn't understand what i said. and you also didn't like me, you even refused to look at me. Because there're a lot of young and beautiful chinese girls around you. you just despised me. In dream, my heart fell to peices! as if I' was abandoned by my exboyfriend again. I'm also a person full of love scars as you! don't abandon me! So now I must ask for leave for a good rest to recover the health. God knows how I cherish my job, though which is a far cry from my favorate and ideal profession. I'm unexpectedly foolish and miserable to such an extent that I'd rather sacrifice my health for keeping my work position to support myself! Otherwise, It's absolutely impossible for me to keep single to wait for my Mr. right's arrival. Maybe in order to make a living, I had to marry to certain a person like my mother. In my memory, she is always full of unhappiness and suffering, feeling wronged. She hates to be a woman in China, having few chance and choice to give full play to her talent all along. she taught me from a child to dream to leave China, going abroad--USA. I have the obligation and mission to fulfill our common dream! I also made a vow then and there that I would never lower myself to marry only for survival, instead of true love! However, the price is too big, too big... now I've unexpectedly been 37 years old... My dream still can't be realized! I'm looking forward to meeting you in Beijing capital airport this September! P.S.I have contacted the hotel manager Tan of Regal Riverside hotel of China. He told me that it's ture that the price via online will be cheaper than in reality. For example, the price of our room is 318RMB, but if you book it in reality, the price will be double--630 RMB (about 100 USD). So it's really so economic for us to book hotel online directly. Thanks to the great intenet! Even if you're in USA, you can still book the Chinese hotel via booking.com smoothly!. oh, My god, just to imagine the hotel room--630 Chinese yuan one night! It'll be the most expensive hotel I would have been!!! P.S. 不过生活依然在继续. 即使感觉上班再压抑，再委屈,再窝囊，再被欺凌和侮辱，再无法忍受, 为了糊口，还要暂时当“奴隶“。（在成为“奴隶主”之前。） 同理, 即使认为真的已经看透美国项目的实质---不过是彼此骗彼此的不断循环，“奴隶主”的美梦还是要做的，好项目依然还是要分享的. 毕竟，美国还是世界头号强国---最富庶的国家. 任何事物,只要存在,必有其存在的价值和意义! 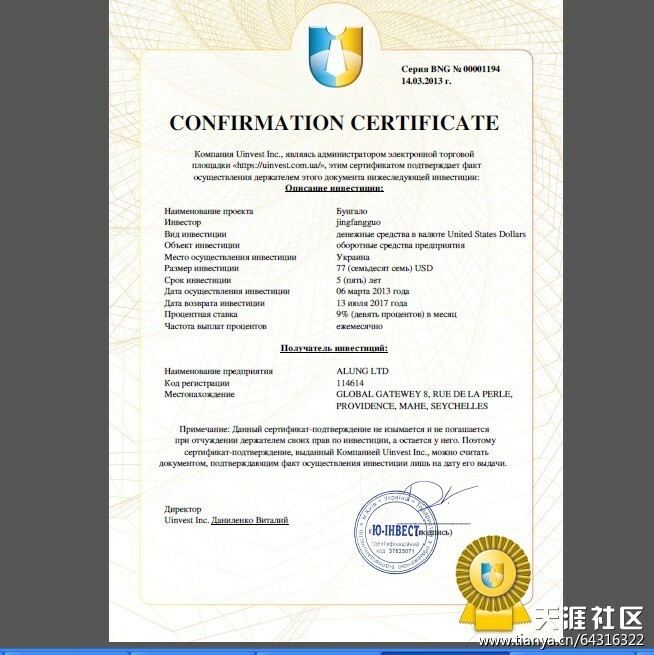 敬请大家注册: https://uinvest.com.ua/?amigosid=15866 （上 面的图片即为该公司在中国广州的现场展览。足可见该公司庞大的经济实力和国际背景。另：该公司欢迎大家到美国洛杉矶实地考察。公司负责发放到美国的邀请 函，不过其他费用一律自负！想想看，美国签证是一般人能得到的吗？即使只是申请美国的旅游签证，至少也得在旅游公司抵押10万人民币的押金呢！公司的邀请 函价值几何，自己算算！是机会是陷阱，相信您智慧的眼光会做出正确的判断！） 有什么问题，热忱欢迎随时垂询本人. QQ: 267440847 愿意与您做一生一世的好朋友!!! 另：附上我的马来西亚照片： http://gauze.yolasite.com/picture-gallery.php 一位菲律宾网友浏览后，给我的评价是：hey, you’re so beautiful ... simple and modest.. 我认为这是对我最好和最恰当的评价。美丽，单纯和谦逊，拟或翻译成"端庄".哦, 谢谢他!